In July of 2014 I had the pleasure of meeting Lisa, a first-time, pregnant client who enrolled in Active Moms Club’s Small Group Prenatal Fitness program. Lisa was committed to training regularly during her pregnancy. And in 2017 she welcomed another member to her family. Her commitment to her health and wellbeing hasn’t wavered after her second child was born — in fact since becoming a mom, it’s only getting stronger with the help of AMC! I first started training with AMC when I was pregnant with my oldest child. 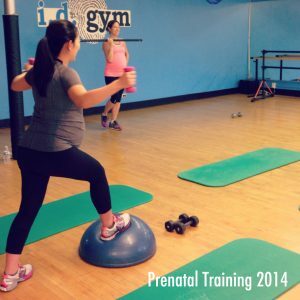 I was a first time mom-to-be, and due to some complications early in my pregnancy, I was concerned about working out on my own. AMC had positive reviews on Yelp, so I decided to sign up for a class”. 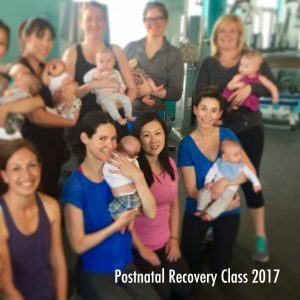 Lisa benefitted from participating in our Postnatal Recovery Class this summer to help regain her core strength. 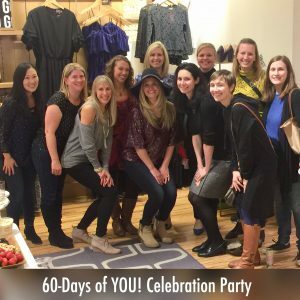 In September she was ready, eager and willing to be a part of our inaugural 60-Days of YOU! Fitness & Nutrition program. I’m not going to lie — it’s been an intense experience that requires a lot of focus and effort. That being said, I’ve enjoyed focusing on my nutrition and exercise habits (i.e., self-care). It’s been a really nice break from focusing on just my kids and husband. Plus, it’s been gratifying to see that my commitment to 60DOY has “paid off”. I’ve seen genuine results, both internally and externally. I have way more energy and am able to focus better after beginning 60DOY. I feel stronger. I’m very pleased that my clothes fit better; after having my son back in April, I only wore athleisurewear and refused to wear jeans (or rather, my jeans refused to go on my post-baby body). I’m happy to say that I’m back to wearing jeans! AMC’s 60-Days of YOU! program is eight weeks of fitness and nutrition guidance that helps take the guesswork out of slimming down, getting fit and establishing a healthy relationship with food and exercise. All 25 of our moms, including Lisa, who participated in our inaugural program reaped the benefits of having TWO personal coaches to help them create a map to new healthy habits and a strategy to make them stick. Lisa’s son was five months old when she started our nutrition and fitness program and was exclusively breastfeeding. She did see a dip in her milk production when she transitioned to our nutrition program. She added a few more fats, an extra serving of oatmeal everyday, drank one gallon of water daily, and started to take fenugreek to bring her milk supply back up. Yes, moms can safely and effectively lose weight while breastfeeding. Lisa lost 14.4 POUNDS during the 60-day program! Lisa lost 3.5 inches in her hips, and almost and inch on her waist and thighs! Our abdomen and hips in particular, show if an individual is estrogen-dominant. Estrogen dominance leads to weight and/or fat gain, thyroid dysfunction, mood swings, sluggish metabolism, fatigue, trouble sleeping/insomnia and many other symptoms…(sound familiar to you?). As moms, we have raging hormones! We are learning how to rebalance our hormonal environment through nutrition—and AMC’s high-intensity strength training workouts work in sync to increase growth hormones and burn fat. I’m proud knowing that I am capable of changing certain aspects of my life. After having my son, I felt like my eating habits were spiraling out of control — way too much sugar and I was stress eating and mindlessly snacking. 60DOY gave me the tools and support to help me make meaningful changes in my nutrition habits and workout habits. Specifically, 60DOY gave me a “roadmap” to healthier eating and efficient and effective workouts. Coach Cassandra was incredibly responsive to my questions and concerns. Lisa’s four year fitness journey is inspiring and very impressive. She demonstrates that self-care is critical at every stage of motherhood, and with the right amount of motivation there will always be a payoff! 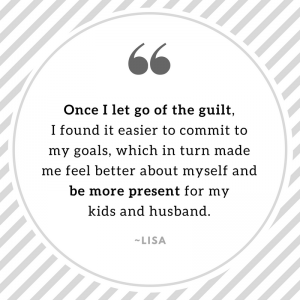 Lisa continues to put make her fitness and nutrition a priority. She gives 150% effort during every Fit & Fab training sessions and has since returned to work as an attorney. One mom lost a whopping 21.6 pounds! 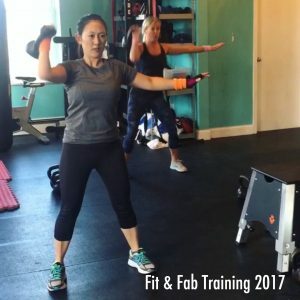 What are your personal fitness goals for 2018? Rather than wish for change, take action! 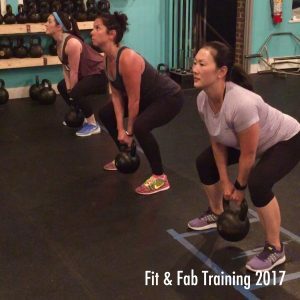 No exercise experience is required to start our Small Group Prenatal Fitness program or Fit & Fab’s Strength Training program. Let the power of small group training move you! Join us for a one-time test-drive for just $25. Experience a session for yourself and you too will be on your way to feeling more confident about what your expecting or post-baby body can do. Do you vision a slimmer, healthier, fitter version of yourself in 2018? 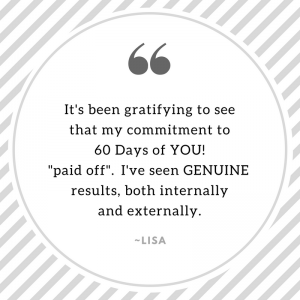 60-Days of YOU! begins January 13 and runs through March 13 – eight weeks of fitness and nutrition guidance that will take the guesswork out of slimming down, getting fit and establishing a healthy relationship with food and exercise. Make the commitment to honor yourself in 2018. We promise this program will deliver a life changing experience for you. Establishing new food and exercise habits are an incredible gateway to accessing a sense of freedom in your life. MOM OF THE MONTH: A 60-DAY Transformation! 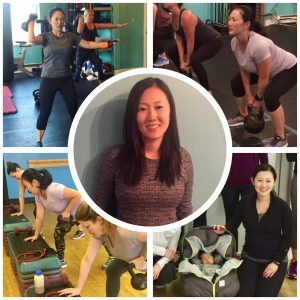 Next PostMom of the Month: A 60-Day Transformation!